What are the DUI and DWI laws in Alexandria, Virginia? Alexandria’s DUI and DWI laws are outlined in VA Law 18.2-266, encompassing behaviors known as DUI, DWI, and DUID as a class 1 misdemeanor drunk driving offense. Alexandria punishes DUI and DWI convictions by up to 1 year in jail, a fine between $250.00 and $2,500.00, at least one year of driver’s license suspension, mandatory alcohol education classes, and 12 months of probation. The jail penalty increases significantly if you were arrested with a blood alcohol level of 0.15 or higher, or if this is not your first DWI offense. We will use the Virginia DUI and Virginia DWI terms interchangeably since the law applies in the same way to both DUI and DWI in Alexandria, Virginia. Driving while under the influence of marijuana, drug or intoxicant – DUID. While the Alexandria DUI punishments outlined above are the minimum and maximum possible punishments for each variation of a drunk driving offense in Virginia, the judge may impose any amount of jail time in between the minimum and maximum range of penalties. It is undoubtedly important for you to trust your DWI attorney and be comfortable with your defense to make sure that your case results in an outcome as close to the minimum as possible – if not a dismissal of the charge altogether. The investment in a strong Alexandria DUI defense lawyer for your first DUI charge is undeniable – as you can see that a second or subsequent DWI CONVICTION will guarantee you jail time in Alexandria, Virginia. Any amount of alcohol in your system over a .02 can technically result in an Alexandria DUI charge and conviction. While most charges for drunk driving will have a Blood Alcohol Content (BAC) level of .08 or higher, this is actually not required under Virginia law. Thus, a BAC level BELOW .08 can still result in a DUI arrest and conviction in Alexandria. 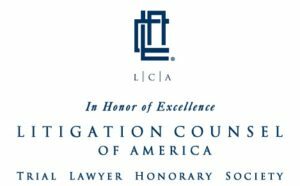 Unlike every other charge, which requires for the government to prove that you are guilty beyond a reasonable doubt, in a DUI case, the burden shifts to the accused when the BAC is above a .08. When the blood alcohol level is .08 or higher, an Alexandria judge will presume that the accused was under the influence. This means that when you step into an Alexandria Courtroom with a DWI case in which a BAC is .08 or above, you are already presumed to have been driving under the influence … and it is up to you and your Alexandria DWI lawyer to show otherwise. When the BAC level is between .05 and .08 there is no such presumption and the prosecutor needs to prove beyond a reasonable doubt that you were driving while intoxicated in Alexandria. And, when the BAC is .05 and below, the court will presume that you were not under the influence and it will be up to the Alexandria prosecutor to prove your intoxication by other evidence. This last standard is the standard presumption in any other criminal trial – you are presumed innocent until proven guilty. As you can see, Alexandria’s DWI laws are terribly unfair and require attorney maneuvering. 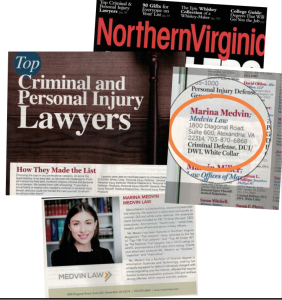 This article is written by Alexandria DUI attorney Marina Medvin, an award-winning DWI lawyer serving Alexandria, VA. 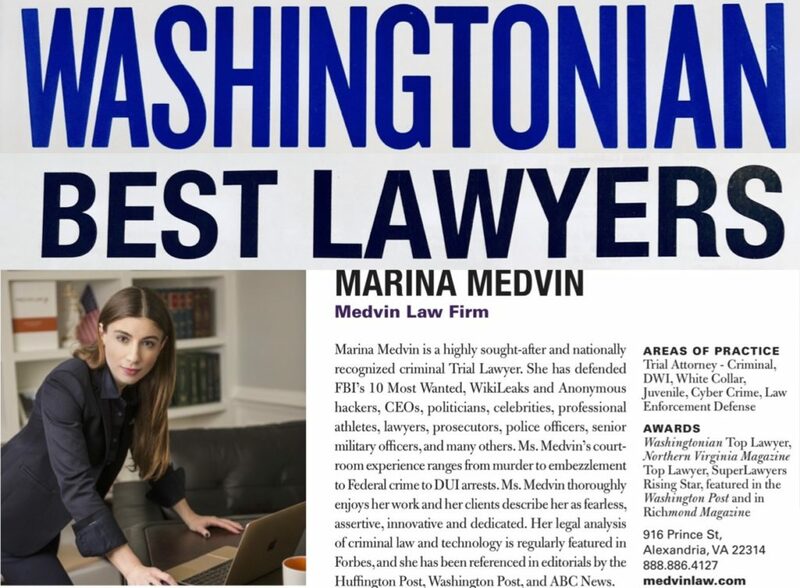 In addition to her Juris Doctorate degree, Ms. Medvin has a Bachelor of Science Honors Degree from Penn State, where she graduated in the Top 10% of her class. Both a legal and a science background are recommended for the defense of DUI / DWI cases because of the scientific and chemical analysis of the Blood Alcohol Content. 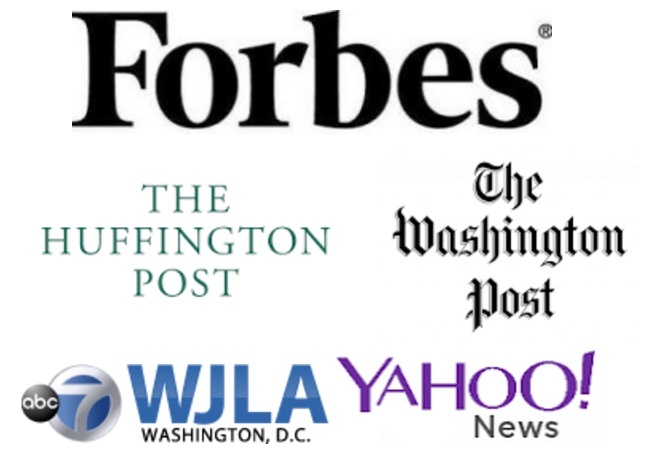 Please call for an Alexandria DWI attorney consultation request. Q: How is a Felony DWI different from a Misdemeanor DWI? A: The felony DUI contains all of the penalties for a misdemeanor DUI but has additional and higher penalties for license loss and for jail time – a maximum imprisonment penalty of up to 5 years. This entry was posted in Virginia Criminal Law and tagged 18.2-266 in Alexandria, DUI in Alexandria VA, DWI in Alexandria, VA.